On approximately 138 acres looking out over rolling hills and valleys, our hilltop Home of the Week may seem like it’s in a world of its own. But with its location near schools, shopping, stables and more, it offers an incredible balance of privacy and convenience. Whether you want to stay home, soak in the views and get away from it all, or head out to hit the links, it’s all at your fingertips. 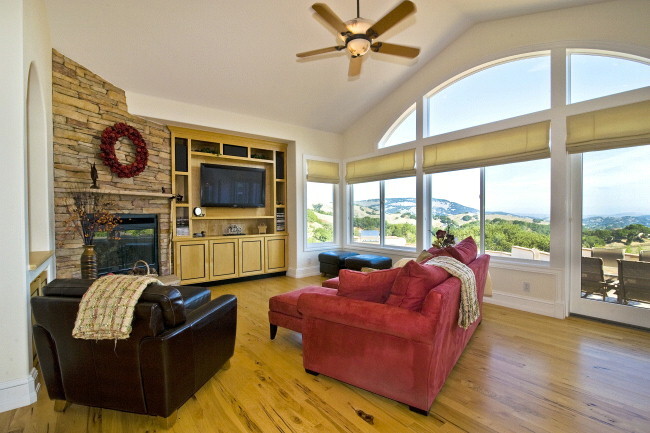 See additional details and photographs of 2825 Vineyard Road, Novato.